The third most senior Republican in Congress fired a shot across the bow of the government in Ottawa Tuesday urging Canadian negotiators to drop some of their hardball negotiating tactics or risk being left out of a new NAFTA entirely. The third most senior Republican in Congress fired a shot across Canada's bow Tuesday, urging Canadian negotiators to either drop some of their hardball tactics or risk being left out of a new NAFTA entirely. 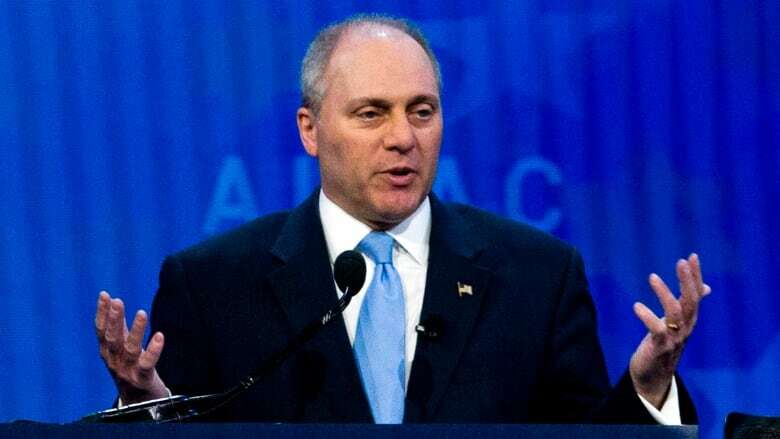 In a statement sent to reporters, House Majority Whip Steve Scalise said he and other U.S. lawmakers are growing increasingly frustrated with Canada's refusal to cede ground on some key sticking points standing in the way of a renegotiated trilateral trade deal, saying Canada alone is to blame for the "continued delay." "Members are concerned that Canada does not seem to be ready or willing to make the concessions that are necessary for a fair and high-standard agreement. While we would all like to see Canada remain part of this three-country coalition, there is not an unlimited amount of time for it to be part of this new agreement," Scalise said. Canada has long sought allies in the NAFTA talks among Republican members of Congress, believing support from U.S. lawmakers could be a crucial backstop in the face of the Trump administration's anti-trade impulses. 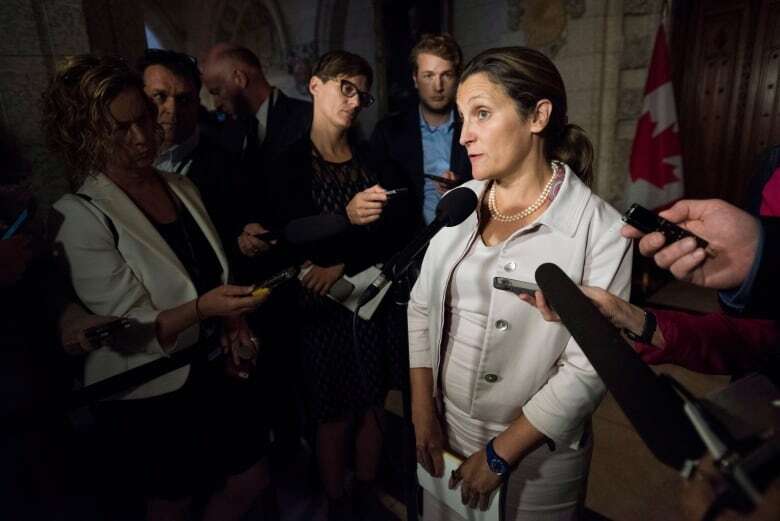 Asked about the letter ahead of question period Tuesday, Foreign Affairs Minister Chrystia Freeland said she was not aware of what Scalise had said but insisted again that Canada is negotiating in good faith. "From the outset of these modernization negotiations, Canada has been extremely co-operative," Freeland said. "Canada is very good at negotiating trade deals. Canada is very good at finding creative compromises." Freeland is headed back to Washington tonight to resume ministerial level negotiations with her U.S. counterpart, Robert Lighthizer. When pressed on trade deals by his political opponents, Prime Minister Justin Trudeau said his government will not be pressured into signing just any deal. "We know that only signing good deals for Canadians is in our best interest. As with CPTPP, when it comes to NAFTA, we will sign a good deal or we will not sign," he said, citing the Comprehensive and Progressive Trans-Pacific Partnership (CPTPP) trade agreement Canada reached with 10 other Asian-Pacific countries earlier this year. Legislation to implement that deal is currently before Parliament. U.S. President Donald Trump also tried to tighten the screws on Canadian negotiators Tuesday by claiming that Canada is "not in a good position" now that the U.S. has a deal with Mexico. "Canada has taken advantage of our country for a long time. We love Canada. We love it. We love the people of Canada, but they're in a position that's not a good position for Canada. They cannot continue to charge us 300 per cent for dairy products and that's what they're doing," he said, citing tariffs Canada places on some dairy imports to protect local farmers. Trump has routinely threatened to levy punitive tariffs on Canada's auto exports if a deal cannot be reached. U.S. negotiators are gunning for a new NAFTA by month's end to get a text of the agreement to Congress for its mandatory 60-day review period. That would allow the deal to be formally signed before Dec 1., when Mexico's new president, a left-leaning politician, takes office. Once a deal is reached, the text has to be legally "scrubbed" — redrafted by lawyers, translators and negotiators into a final deal that can take legal effect across the NAFTA zone. That process typically takes longer than a few days, meaning the pressure is on to finalize talks to get Congress an agreement by September 30. Under U.S. law, while Congress can extend fast track negotiating authority to Trump administration officials — as it has with NAFTA — legislators retain the right to review any proposed trade agreement and decide whether it will be implemented. That relationship is governed by a set of strict, legislated timelines that allow Congress enough time to study a deal before delivering a decision. "Congress takes seriously and intends to fully enforce the deadlines established in the Bipartisan Congressional Trade Priorities and Accountability Act (TPA). We will not short-circuit the open, transparent, and accountable process established under TPA to ensure that the full text is available to the public," Scalise said. The U.S. and Mexico reached a preliminary, bilateral agreement in August, prompting Canada to return to the negotiating table to settle some lingering irritants standing in the way of a final deal. Scalise said the U.S. is ready to push ahead with a bilateral deal with Mexico if Canada can't commit to some compromises. 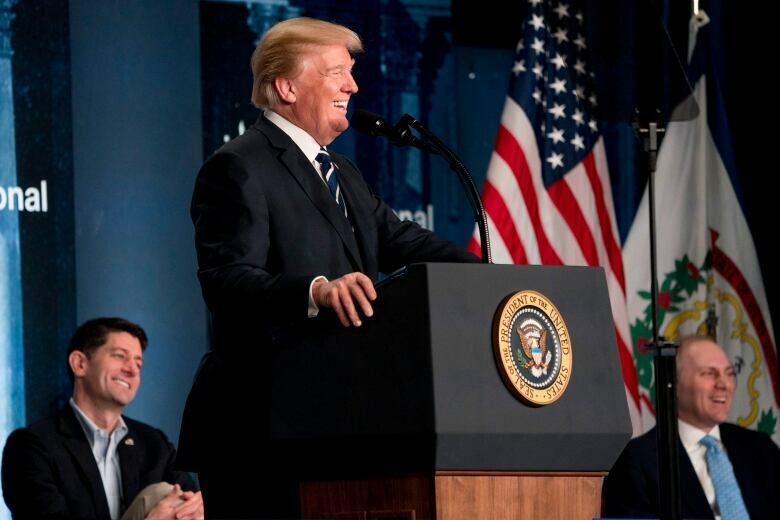 "Mexico negotiated in good faith and in a timely manner, and if Canada does not cooperate in the negotiations, Congress will have no choice but to consider options about how best to move forward and stand up for American workers," he said. However, despite the pressure from Scalise, a top lieutenant of Trump in Congress, there are questions as to whether the White House could proceed with a Mexico-only deal. Indeed, forcing a two-party deal on Congress could lead to a legislative headache for Republicans, since the fast track negotiating authority that Congress gave Trump and his administration was a for a trilateral deal, with Canada taking part. Canada is particularly concerned about how Chapter 19 in the original NAFTA — the dispute settlement mechanism used to challenge anti-dumping and countervailing duty cases, which Canada has deployed in the past over the softwood lumber file — has been renegotiated by the U.S. and Mexico. Chapter 19 has been a do-or-die issue for Canada, as it has often relied on the clause to fight punitive duties. Lighthizer has long opposed this chapter as a violation of U.S. sovereignty. The U.S. has also been pushing for greater access to the Canadian dairy market, a segment of the economy protected by supply management. Prime Minister Justin Trudeau has pledged to protect Canada's existing agricultural policies.